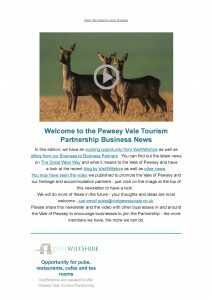 Welcome to the Pewsey Vale Tourism Partnership's Business Information page. 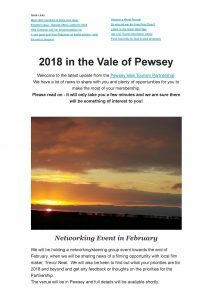 News and information from the Pewsey Vale Tourism Partnership, specifically for businesses (rather than for visitors) can be found on this page. 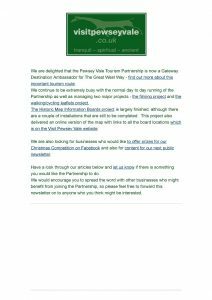 Click here to download the form and check our Terms & Conditions. 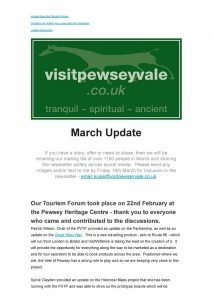 Email the completed form to susie@visitpewseyvale.co.uk. 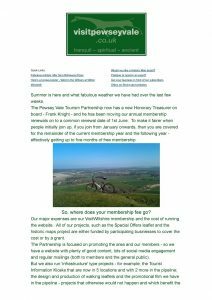 Transfer the membership fee (instructions are on the final page of the form). 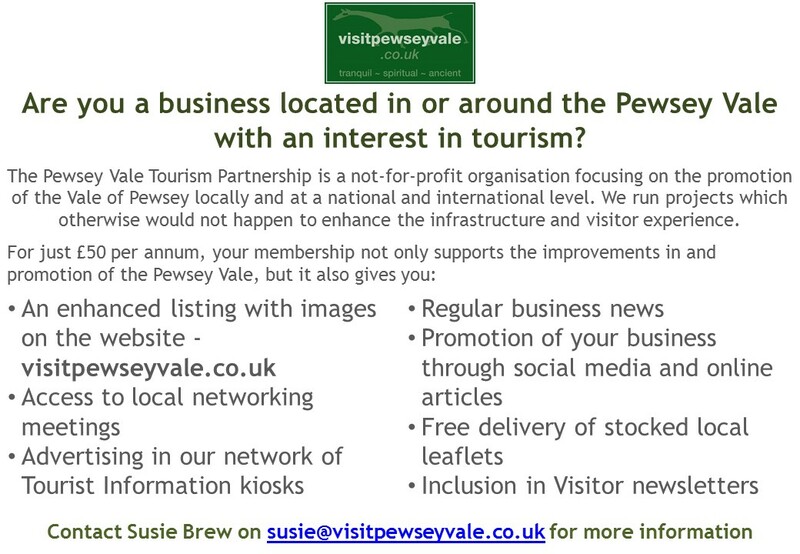 Contact Susie at susie@visitpewseyvale.co.uk and we can come and meet you. 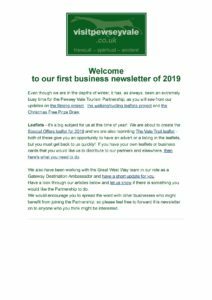 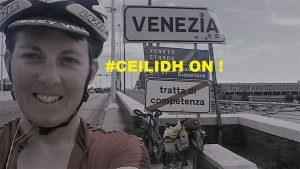 The annual membership (as at 2019) is currently £50 per year. 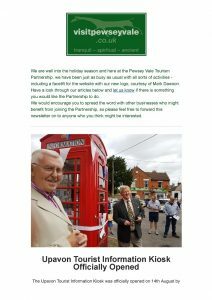 The Pewsey Vale Tourism Partnership (PVTP) is a not for profit organisation set up through the Pewsey Community Area Partnership. 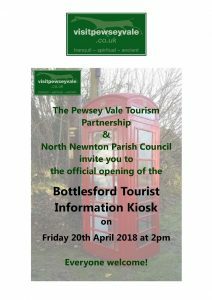 A kick-off meeting in November 2014 with local businesses and organisations identified the need for a tourism partnership for the area and the Partnership was launched in March 2015. 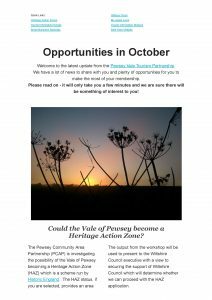 The Pewsey Vale Tourism Partnership’s (PVTP) vision is for the visitor economy in the Pewsey Vale to be robust and sustainable, benefiting local businesses and people. 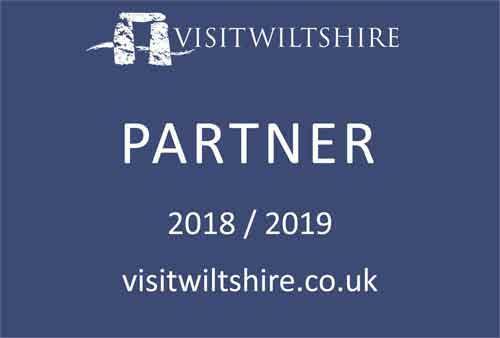 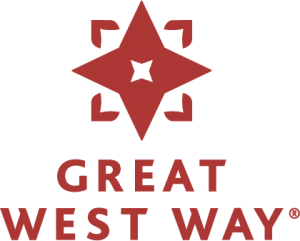 The purpose of the Pewsey Vale Tourism Partnership is to foster, develop and promote the sustainable growth of tourism and the visitor economy in the Pewsey Vale in a way that minimizes any detrimental impact on both the environment and the local communities.